I have a stock HH2 I got in '12, just to check it out. Not a great picture, but telling enough. I like it. The sustain is incredible, and the intonation is the most even I've experienced. The tuner light goes right to green and stays there for aeons. The stock pickups are fine, though the bridge could be a little hotter for my music. Kellameron wrote: I have a stock HH2 I got in '12, just to check it out. Not a great picture, but telling enough. That build is classic. I love the simplicity of the HH guitars, and yours really embodies all the best features of the model. Love that finish, too! Greg Emm wrote: Love that finish, too! It is nice. 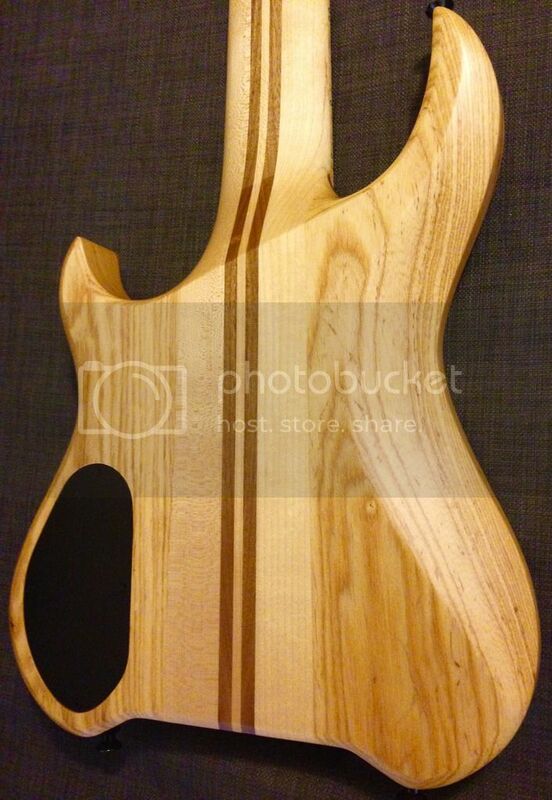 I usually go for solid colors, or at most a veneer top (at least maple tops, like maple fretboards, I do not like, chirpy), but I thought why not. So I absolutely love how the Teal Flame came out, can you say perfect? I also wanted a dark rosewood fretboard, and they did that nicely. Compared to the 2014 CRM on the right, the neck feels slightly thinner, and the guitar itself feels a bit lighter than the CRM. People commented on the body thickness, but to me it feels very similar between the two. The upper fret access is a bit nicer, and I like how they finished the neck joint with the paint vs bare wood- it looks more natural. As far as tone, the Teal is slightly brighter/twangier than the CRM, but I am wondering (aside from the maple top) if that is also a function of the pickups? There is enough difference in tone to easily justify owning both- the Teal has an almost "stratty" vibe to it, while the CRM is slightly more "SG-ish." Sustain is very similar. The main concern was the XS Trem- I now have a Version 2 on the Teal, but it doesn't lock down as smoothly as the CRM. You have to "work" the Teal trem to get it to lock and stay in tune; if you set it to engage smoothly, it pushes the guitar about 20 cents sharp! I decided I could live with it, I have a funny feeling that I could go thru several trems and encounter similar problems, and the slight "catch" to make it lock and stay in tune properly is really not that big of a deal. Still on the fence regarding the new pickups. I have begun to lower them significantly and will continue working with them for the time being. I actually think the older Holdsworth pickups sound better when split than the new ones, go figure! Last edited by marzzz on Sun Feb 12, 2017 12:48 pm, edited 1 time in total. What a killer guitar! They nailed it. That's one of the nicest flame tops I've seen, and the recent greener (at least to my eyes) teal is really appealing. Thank you for the sound comparison. And thanks a million for the saga of the trem. Makes me wonder what's really going on with this situation. Enjoy those guitars. You have one of the nicest pairings I've seen, both different enough in appointments and looks to be satisfyingly unique in looks and sounds, yet functionally similar. marzzz wrote: Still on the fence regarding the new pickups. I have begun to lower them significantly and will continue working with them for the time being. I actually think the older Holdsworth pickups sound better when split than the new ones, go figure! So...taking the idea that the Teal is going to be my more "strat-like" guitar, I brought the pickups back up to starting height and am digging into the trebly end of the spectrum; with the right amp settings (or in the case of my Kemper Profiler, the right amp choice) I am getting some nice strat-oid tones, even a bit o' qwack. Keeping in that trend, I now have the bridge primarily floating and don't lock it down, so I will be more tempted to use the wham-bar. This is by choice, I have gotten the locking mechanism to work more smoothly. So has anyone taken delivery of the newer Hipshot HHXs? Last edited by Tabare777 on Wed Apr 19, 2017 3:47 pm, edited 7 times in total. Holy smokes Rodrigo! I didn't even know you got that! Wow, that is a beauty! Congratulations! Hi , checking in from Hong Kong! This is my new HH2 received earlier this month! HH3x, Vader 6x, or Strandberg Fusion? Have been pondering this for a while now and thought this the best place to get some guidance. I'm getting my undergrad in May of '18 (for those reading this in the future) and want to get a high-quality guitar as a gift for myself. I've only played bad stratocasters and a Jazzmaster HH I regret buying a little over a year ago (the quality is garbage and would have rather kept playing my Squier strat than buy it but no returns, so). I love .strandberg* design and the brand as a whole and am very strongly considering getting a Boden Fusion but have also been a fan of Kiesel since I learned of the Vader model. 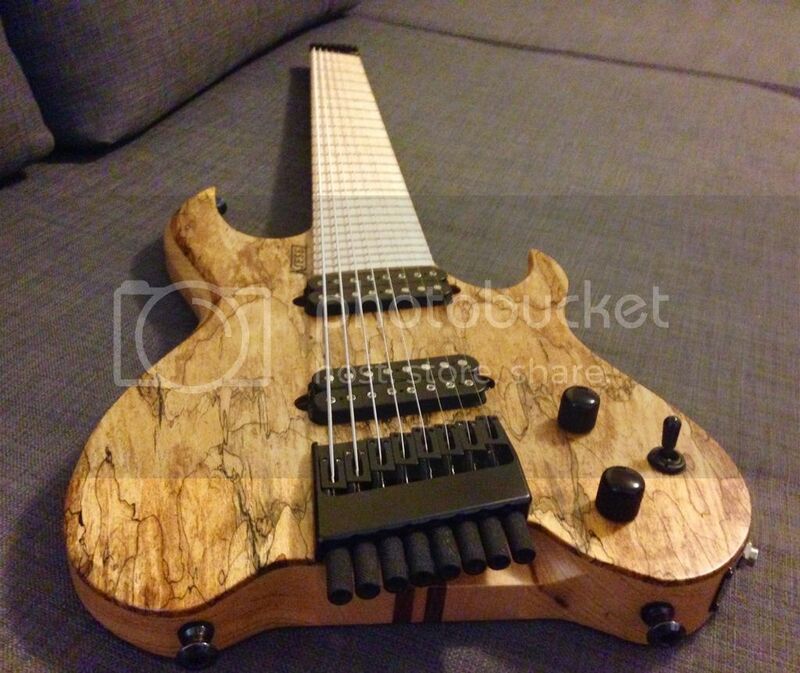 Obviously, the Kiesel is a better return on investment in terms of customization but if the quality is the same as the .strandberg*, I think I'd rather buy the latter. I'd like to get multiscale but I prefer the 'splay' of .strandberg*'s multiscale, versus Kiesel's (which I find more aggressive). 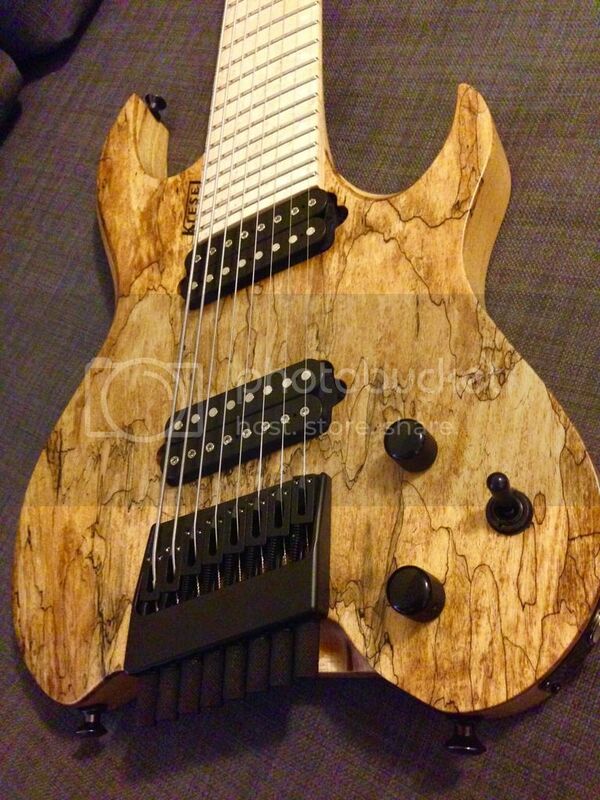 So if I were to buy the Kiesel, I'd buy standard scale length. I estimate the cost would be a little over $2500 with shipping and all the special options. I play blues and some strange classical/fusion mix that doesn't sound like actual music to anyone but me, so keep that in mind. I'm looking for a guitar that I can play for the rest of my life, basically. One that I'll never sell and could probably pass down, should that ever be an option. Thanks for any advice y'all can give. I know I need it. IMO, if you love a Strandberg then go for one! 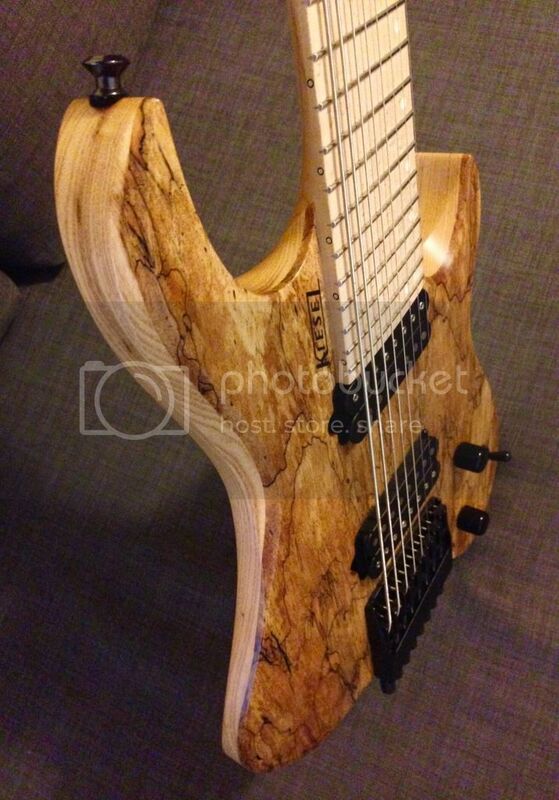 Omsong wrote: IMO, if you love a Strandberg then go for one! Rad. That's where I've been leaning. Thanks man. Hello all! 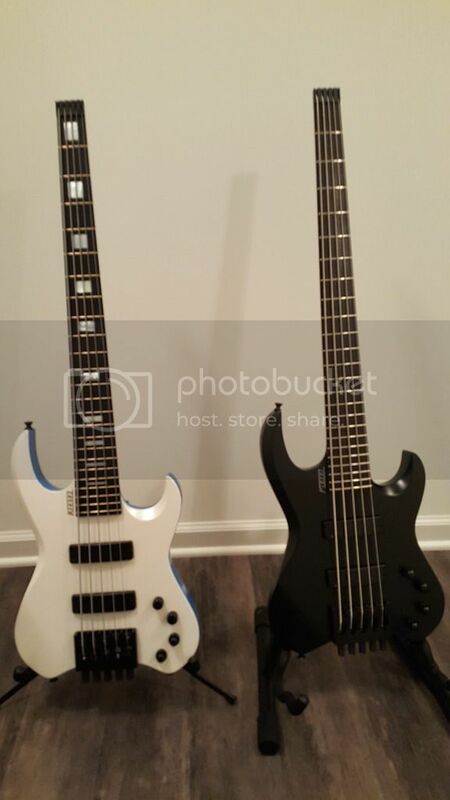 Could any of you Zeus/Osiris owners please tell me how many inches it is from the 19th fret to the bridge saddles, and how many inches are between the pickups? 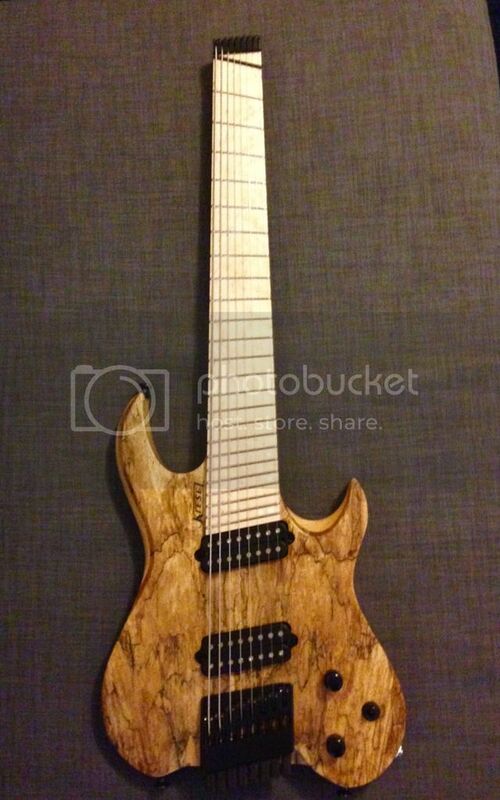 Also, have any of you owned more than one style of Kiesel's headless guitars? And if so, how would describe the difference (tonally) between them?